This is such a simple outfit but for some reason, I loved wearing it. I went shopping to Westfield Stratford with Madeleine last week and we spent most of our time in Forever 21, literally every floor (and there is three floors) we had multiple pieces to try on! I came away with this simple striped t-shirt, a white skater dress, a white summer crop top, some black shorts and some workout stuff. The workout stuff is to try and motivate me so that this healthy eating and exercising thing that I keep on telling myself I will do, actually happens! 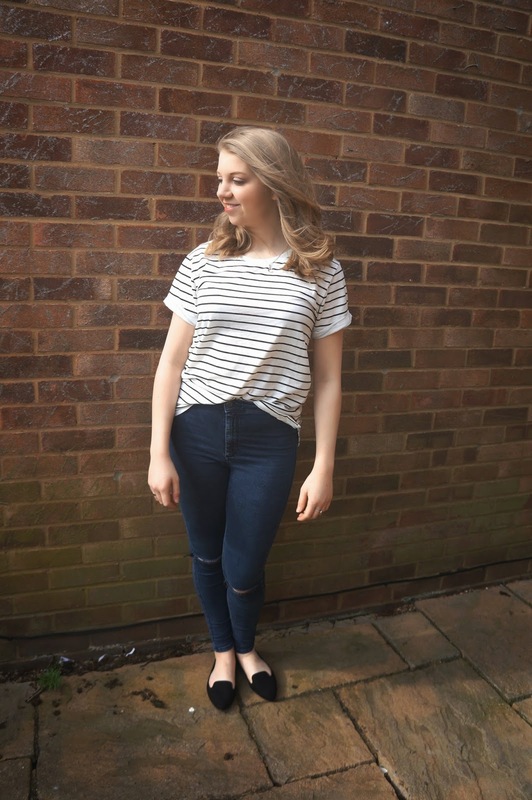 I was so pleased with all my purchases but this striped top is possibly my favourites. 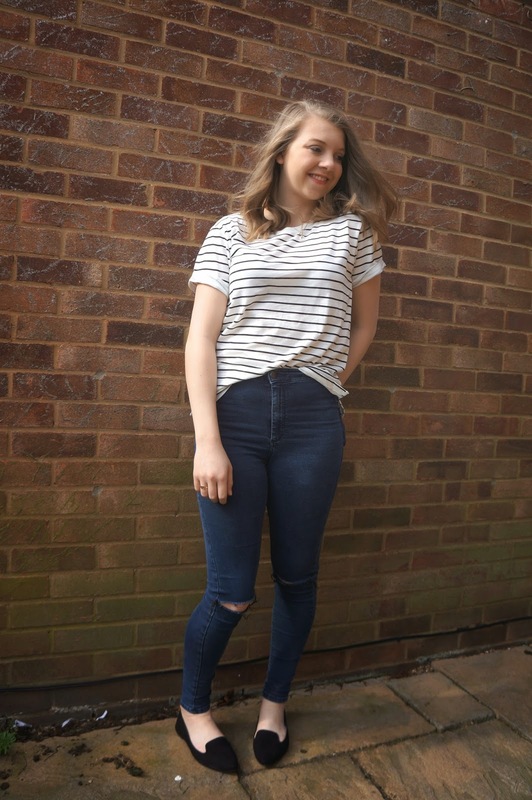 You know how much I love stripes, even the cashier stated "You quite like stripes, don't you..." but having this casual - and extremely comfy - t-shirt will be a great essential for the wardrobe! So my summer wardrobe is slowly gaining some new things and building up, but I think a browse on Asos this morning made me realise all the other stuff I lust after! Anyway, I go back to dancing this evening and apart from that am spending my day revising and drinking coffee, hope your Monday isn't too bad! Now Watching // Madeleline and I have had a little film marathon over the past week, we've watched The Kings Speech, Life as we know it and we watched The Help last night - all which made a cosy night in. im a massive stripe fan to i have about 7 stripe tops obsessive i know! love your outfit simple yet so nice!